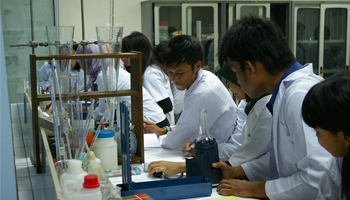 Dian Nuswantoro University provides a laboratory for students. One of them is the Photography Laboratory. In this lab, the students will be briefed directly on how good shots are to be so as to produce a beautiful picture. In addition to directing, usually students will practice shooting directly. With this, it is expected to make students able to explore in the fields of photography. Dian Nuswantoro University Library occupies the entire of second floor in building A, which is equipped with tables and chairs to read, catalogue drawers, bookcases, and information on computers. 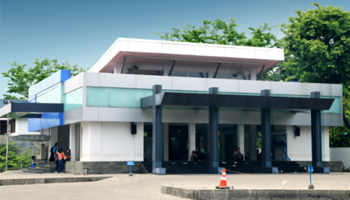 In order to add and complete the collection, Dinus University library is also connected with the university library network. A digital library is in development, which is expected to improve the service facilities for the users. A variety of library materials will be packaged in a digital form that can be accessed via internet or on-line automatically facilitated in the library. Other improvements included are: concerning the provision of the latest collection, provision of computer hardware and software, reading room addition and others. Repair service system are concerned with the improvement of on-line automation system. Online information system that is equipped with workstations can be accessed freely by the entire academic civets and has been long developed. All the information relates to academics such as students personal data, grades, class schedules, exam schedules, announcements and information from academic letters to students easily get for students who have a right. 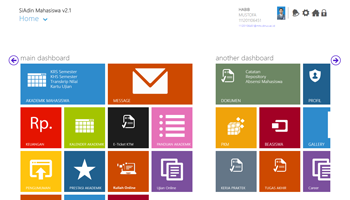 The Information System can be accessed by students and other academic community. The characteristics of Indonesian society is that we like culinary, and this makes Dian Nuswantoro University Cafeteria more motivated to serve various food with the best taste. UDINUS also provides more facilities, such as full music and free hotspot area. Even now, The Cafeteria has become a hangout place and study for student. UDINUS Polyclinic is established to give health service facilities for students and employees, and also the general public in the campus area. Nowadays, the UDINUS Polyclinic provides general clinic and dental polyclinic. The polyclinic is expected to give benefit of cheap and qualified medical service to students and employees in the University. And the dental clinic is equipped with dentists and appropriate equipments. Every student in UDINUS has the right to use polyclinic service which is allocated in every work hour from Monday to Saturday, starting from 8 am to 6 pm. UDINUS also provides a place for Muslim students to do their religious rituals. And for that, UDINUS has provided a mosque. Aside from a place to pray, the mosque is also used to run other religious activity, such as recitation, ta’lim committee used as Islamic organization which is located at the campus area. To support student activities in UDINUS, we have provided an Activity Center in the F Building. This building has 2 floors. We also facilitate students with sport activities, one of them is basketball. 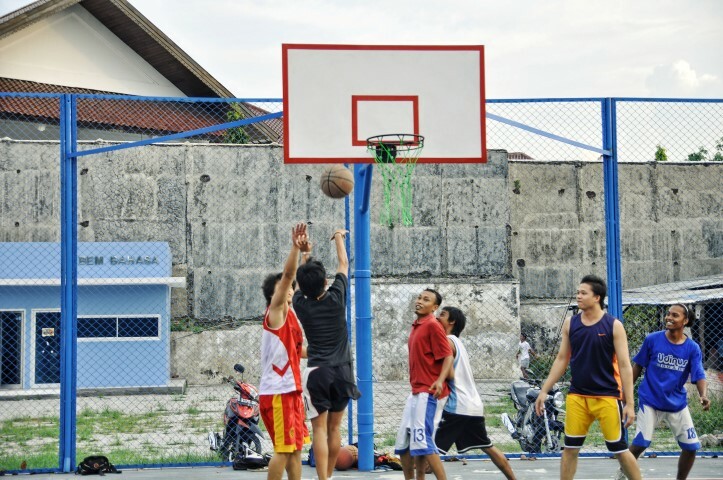 By providing a basketball court for the basketball team, UDINUS has so many achievements in regional and national competitions. For Wall Climbing, we have a climbing wall area which is used to train students of nature lovers (Mapala) ALDAKAWANASETA. 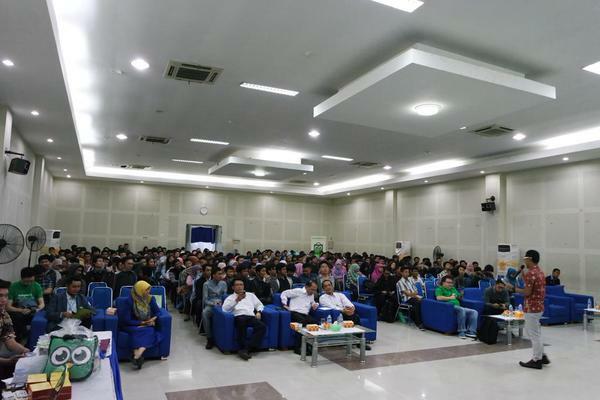 Dian Nuswantoro University has teamed up with iGroup Asia Pacific Ltd to make use of software to prevent attempts of plagiarism. The antiplagiat feature is called Turnitin. 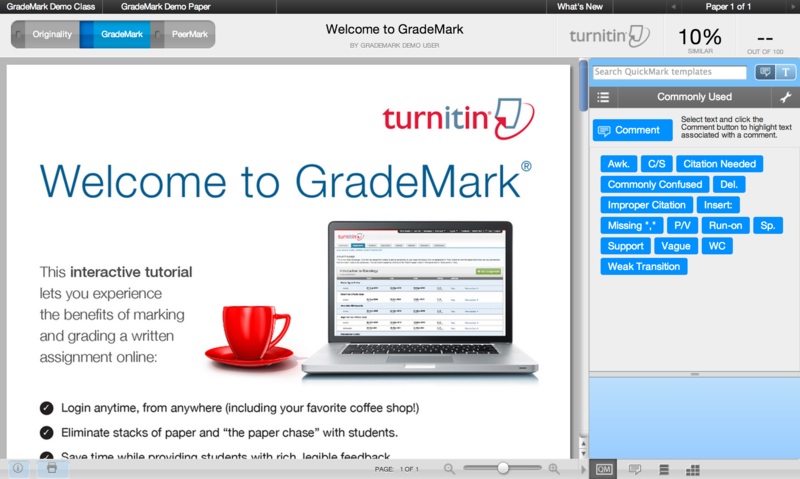 Turninit is software that provides the facility to detect an act of plagiarism on papers, theses and finals. UDINUS has signed a service agreement with the iGroup (Asia Pacific) Ltd, at the end of March 2015. This is expected to make the graduates of UDINUS to be antiplagiat and really qualify to produce an original thesis. By supporting the comfort students and lecturers in teaching and learning activities, UDINUS provides a comfortable lecture room facilities. It is equipped with an LCD projector that can be used by lecturers as a facility to assist in delivering the lecture material. In addition an air conditioner is provided so that it will add to the convenience of students and faculty during the lectures. A less number of students in each class will also make the course more conducive atmosphere. The Laboratory in UDINUS is facilitated for educational activity, lecturing, or training for students, lecturers or others who need laboratory facility. This laboratory management is specially addressed for inter faculties or institutes. Beside University level laboratory, there are some laboratories that is managed by faculties, especially to support practice activity in the courses of study. To support all kinds of academic and non-academic activities, the University Dian Nuswantoro have also set up a campus bus. The bus serves as a means of transportation for students and teachers when having activities outside the campus while using the UDINUS name. Hopefully, the UDINUS bus, can help students and faculties with transportation that is easily accessible when there are activities that bring the UDINUS name outside. As one of the efforts of green land acquisition, Dian University Nuswantoro also provides Rooftop Garden. Rooftop Garden is located at the top of H building. It is used as a means to relax and a discussion place for the students. 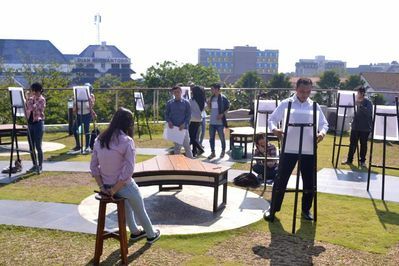 It can also be used as an outdoor class to avoid boredom of students during lectures. By being there we can enjoy the fresh air and the view from atop the H building. Dian Nuswantoro University provides many scholarship offerings. The scholarship will be awarded to outstanding students and students who need tuition assistance. There are many education funding assistances provided in UDINUS. With this, it is expected to motivate students to continue to excel both academic and non-academic activities. Dian Nuswantoro University also provides facilities for sports. One of it is a basketball court. Students who want to explore their interests and talents in the field of basketball, can also join the Student Activities Unit in the field of basketball or also known as UDINUSSQUAD. In this activity, the students will be trained specifically so that they can participate in various competitions. UKM basketball also an exceling event in UDINUS. 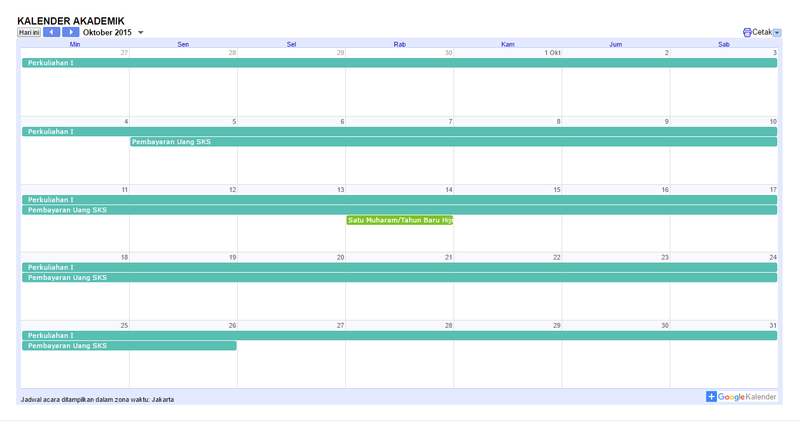 Dinus Academic Calendar is a calendar used to see all sorts of financial planning and academic activities in the period of one school year. All sorts of academic and financial activities are recorded in the Academic Calendar Dinus, such as KRS input date, dates of lectures, remedial, graduation, the deadline for payment of fees, and many more. It is expected that both students and faculty know the activities and timing of implementation of academic activities and finances in UDINUS. As one of the best Universities in Central Java, Dian Nuswantoro University have a tent facility entrepreneurship as a form of commitment to produce many young entrepreneur. Tents entrepreneurship is a stall selling specially provided for students who want to train themselves in UDINUS during their study here. With the Entrepreneurship Tent, students are expected to learn more about the business world and can prepare themselves prior to actually go into the field when the graduate. 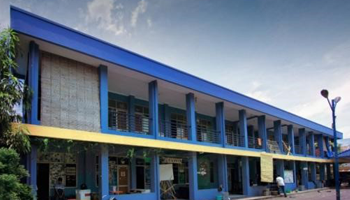 As one way of self-development for students, there are many activity units and student organizations that can be followed at the University of Dian Nuswantoro. This is to develop their soft skill abilities according to their interests and talents. Students can join a wide variety of student activities, such as football, basketball, computer club, taekwondo, choir, music, nature lovers, and many more. For students who have a desire to be active in campus organizations, they can participate in various levels of organizations, starting from the program study level up to university level. By engaging in activities and organizational units, students are able to socialize with the campus environment, sharpen soft skill, and can make the unit activities and the organization as a place to develop themselves according to their interests and talents in order for them to be more accomplished, both academic and non-academic. Students will have access to facilities such as subscription journals. With this journal, students can search for course materials and reference for the final project or thesis. With the journals provided it can make it easier for students to not have trouble finding a decent journal to be read and used as reference material for literature. 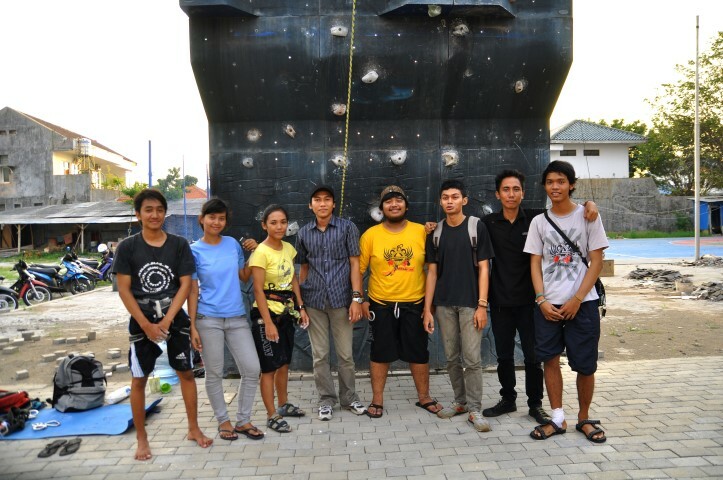 Climbing Wall is a sport facility provided by the University of Dian Nuswantoro and managed by the student activity of Aldakawanaseta Mapala UDINUS which was established in 2007. UDINUS has always facilitated the students to explore their ability in non-academic fields. Of course, without having to put aside their obligations as a student, that is to study hard. For students who have an interest in Wall Climbing, they can take advantage of this facility and can join the UKM Aldakawanaseta thus to get more serious training. The Health laboratory serves as a means of supporting the study in the health faculty of the University of Dian Nuswantoro. Many knowledge and skills can be performed by students of the faculty of health when they are in the laboratory, such as the examination of samples of chemicals as one of the basic capabilities that would feed all the students as candidates for health personnel, both as implementers and "middle manager" in hospitals, companies, health institutions or other institutions. Health laboratory is also equipped with the tools to support activities during practicum that is very adequate. Dian Nuswantoro University provides facilities for tax service information, that is the tax center. The tax center is expected to be the center of information of taxes for the entire academic community in UDINUS. Tax center is located on the 1st floor of C building which was inaugurated in 2014 with direct cooperation from the Regional Office of Directorate General of Taxation, Central Java. Tax center is also a tax laboratory in UDINUS. With the tax center in accordance with the vision and mission of UDINUS to continuously improve the quality of education for students. ILCS and CFLT is a language institute in the Faculty of Humanities in University of Dian Nuswantoro (UDINUS). CFLT (Center for Foreign Language Training) is an institution that provides training and foreign language exams, especially English, Japanese and Mandarin. ILCS (Indonesian Language and Culture Service) is an institution that has a program to introduce the rich culture and beauty of Indonesia to foreign countries, especially in terms of introducing Indonesian to foreign nationals. One of the hallmarks of the language institute located in UDINUS is language learning materials corresponded to the needs of the workforce. Dian Nuswantoro University (UDINUS) provides various opportunities for students who wish to undertake further studies abroad. UDINUS have done some cooperation with universities in Malaysia, Thailand, China, Korea, and will continue to expand its scope. This program has received support from the Bureau of Planning and International Cooperation (BPKLN) Events Calendar. 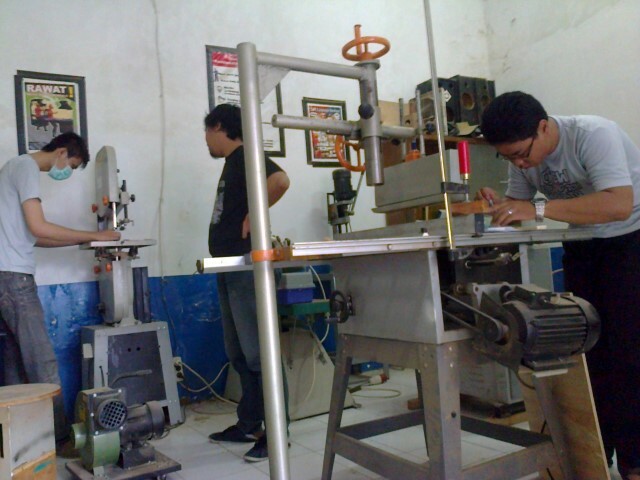 The Engineering Faculty in Dian Nuswantoro Universitty (UDINUS) provides facilities such as industrial laboratories that will support the activities of students. With the industrial laboratory, it is expected to help all students’ learning activities, so as to realize our efforts to assist the government in providing technical personnel that are educated and professional. Online Exam is a facility that will be used by students of Dian Nuswantoro University (UDINUS) during Mid-Term Exams and Final-Term Exams. It is adapted to the requirements of the subjects that are concerned. Online test will be conducted simultaneously in the Computer Lab in UDINUS for certain subjects. With the exam randomly programmed, it can minimize the occurrence of cheating during the exam. Online Exam is one form of implementation of IT in college life. One of the facilities owned by the students of Dian Nuswantoro University (UDINUS) is an online facility schedule. Online schedule is a facility that will allow students to still be able to access college lectures wherever and whenever they want. 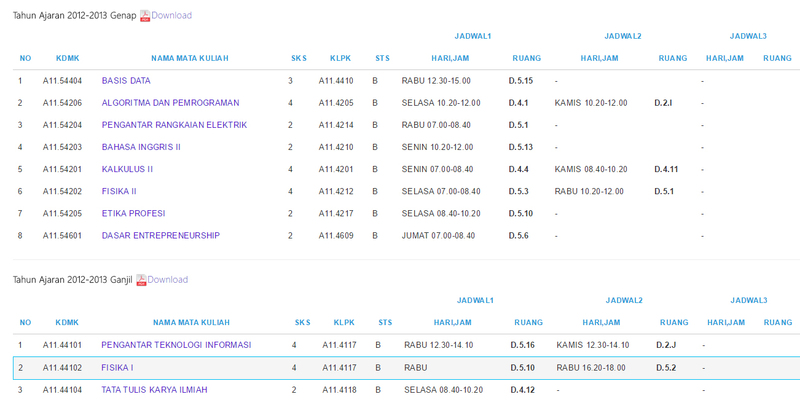 Online schedule is in the form of lecture schedules, and schedules for (Mid-Term Exam) UTS and (Final-Term Exam) UAS. With this, it is expected to further help students with their courses. One of the facilities provided by the University is the Hall. The hall is located in E Building and is used for the implementation of the campus indoor events, such as seminars, workshops, and public lectures that require extensive space. This hall can accommodate many participants up to 450 people. Air conditioning and LCD projectors are provided in the Hall and will further add comfort for the students.